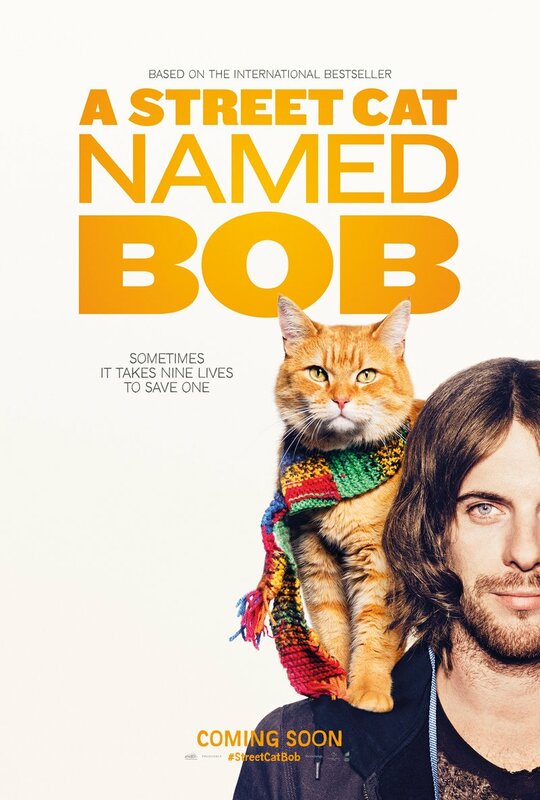 A Street Cat Named Bob DVD and Blu-ray release date was set for May 9, 2017 and available on Digital HD from Amazon Video and iTunes on January 17, 2017. James, a young homeless man, is struggling to defeat the intense drug addiction that has turned his life completely upside down. He is very talented but has been reduced to being a street performer begging for money on the street to survive. He soon meets and becomes friends with an orange tabby cat that is in a similar predicament. Having something to care for and love is the just the rope that James needs to hold on to the hope of the life he desires and keep him sliding back into his addiction.